The official launch of Avon’s new Spirit ST sport-touring tyre is planned for late spring but the bike industry will get a first look at the brand-new design this week. 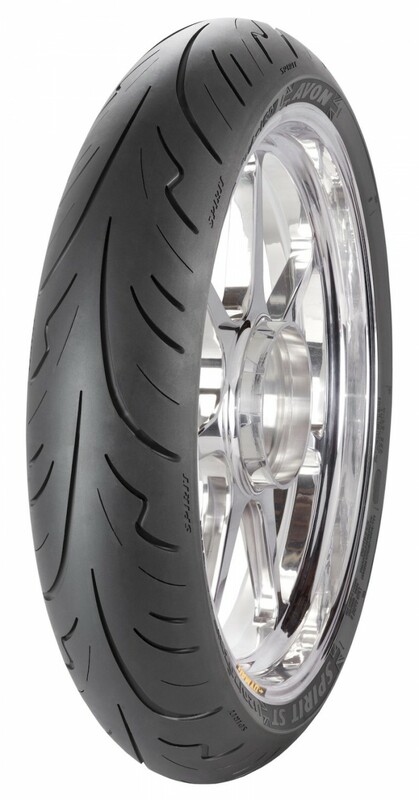 The Melksham-based manufacturer will have early production tyres on show on the Direct Distribution and Bradbury Bros stands at the Motorcycle Trade Expo, at Stoneleigh, from 15-17 January. The Spirit ST is the successor to Avon’s acclaimed Storm range and has been designed to provide excellent levels of wet grip, together with superb handling on a wide range of popular sport-touring bikes. Featuring a radical new tread pattern, the Spirit ST uses the very latest high-silica synthetic rubber compounds for improved mileage.